Vice President, Marketing, Veristor Systems Inc.
As Vice President, Marketing for Veristor, Jessica Garrett leads the development and execution of the company's marketing strategy and related programs. A seasoned executive with more than a decade of experience in the high-tech, professional service and financial service markets, Jessica is instrumental in creating compelling, high-impact marketing programs that drive sales and extend Veristor's position in the marketplace. 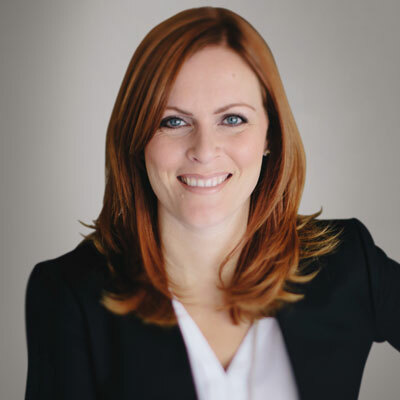 Prior to joining Veristor, Jessica was Director of Marketing, Global Brand and Campaign Strategy for ARRIS, where she developed in-depth marketing programs on a global scale. Under her guidance, ARRIS executed a comprehensive brand refresh, launched a multi-year NASCAR sponsorship, drove an expert content marketing program, and stood up a deep marketing automation and lead strategy. She honed her skills in executive positions for the Society of Certified Senior Advisors where she transformed the organization through the development of an online lead gen, customer nurturing and customer loyalty programs. Jessica has been the recipient of multiple marketing and leadership awards to include the Women in Cable Technology's Rising Star Award for Emerging Leader in 2015. She also served in the United States military for more than 14 years and is a veteran of multiple armed conflicts. Over the past year, I drove a massive company brand and messaging revitalization for Veristor through to completion with brand enhancements that touched every part of the company. Along with the brand refresh project, I also spearheaded a comprehensive message and content overhaul which now fully articulates the promise Veristor it makes to customers. The branding project included a complete website revision with the development of more than 100 new pieces of content which has fueled our demand and lead generation engine. I also enabled the full execution of an end-to-end digital marketing strategy with campaigns targeted to each of our core focus areas and aligned with the go-to-market strategies of our partners. The result of the program delivered a 28% increase in social media followers, a 26% increase in website traffic, a 200% increase in prospects generated, a 46% increase in marketing-led sales appointments and most importantly a 300% increase in the numbers of marketing-influenced opportunities. This is with a 2x increase in the number of vendors we resell and a 30% increase in the number of MDF claims. 2017 was a building year, focused on establishing the core infrastructure and processes needed to have a fast and effective marketing department. Moving into 2018, I'll be focused on enhancing the sales pipeline with the launch of a hybrid account-based marketing (ABM) strategy. Using cutting-edge techniques and integration methodologies, I'll leverage ABM to laser-focus our reach to targeted prospects with the engagements that are most aligned with their core interest areas. Programs that deliver custom-touch, such as tailored gifts following key events or personalized digital journeys, will be core to this ABM marketing approach to optimize our effort and resources. Last year, I was named to the Power 30 Solution Provider lists in the CRN 2017 Women of the Channel. I also continued my post on the Hewlett Packard Enterprise Marketing Partner Advisory Board and have been recognized for my work on the Veristor brand refresh as a finalist in the Atlanta 2017 AMA Awards, Branding/Visual Identity in Business-to-Business Category. One of the women I admire most is Margaret Thatcher. Like me, she had a degree in Science and worked in the scientific field before switching to politics. She was the first woman to have been appointed as Prime Minister and was the longest-serving. She was a very strong-willed, driven woman who gave wonderfully strong speeches and rather than trying to be like a man, she embraced her womanhood. One of my favorite quotes from her is, "I've got a woman's ability to stick to a job and get on with it when everyone else walks off and leaves it." If I could, I'd tell my 16-year-old self to be humble, learn fast and hustle hard. Humility makes you stronger because you can see your weaknesses and work to improve them while leveraging your strengths without letting them lead you stray. Hustle is the difference between those who talk about wanting success and those who actually chase it down. But, self-learning is the key to it all. Learning bridges the gap between the things you are and aren't good at, and the things you need to know how to do to be successful. Learn your tail off. I would master Account-Based Marketing (ABM). ABM is a way to narrow down a large target market with thousands of prospects to high-value accounts, allowing us to focus our time and money on the best fit prospects where the largest deals are. Given that we resell almost 100 different vendors, our target market is incredibly large. ABM allows a small marketing team to scale and produce measurable results that truly move the sales pipeline forward. The best book I've read this year is "168 Hours: You Have More Time Than You Think," by Laura Vanderham. A women's role is very complex. Every woman I know says, "I'm so busy" and none of us feel that we have enough time to do the laundry, fix dinner, ensure homework is done, pay the bills, etc. And then add in the necessary things like decompressing with our husbands, booking that much-needed vacation or exercise, and we feel overloaded. This book called us on our own BS and provides useful tips for how to optimize our time.